Not everyone will immediately get the appeal of watching competitive virtual card games. But that’s ok. Those people have clearly never watched Yu-Gi-Oh. 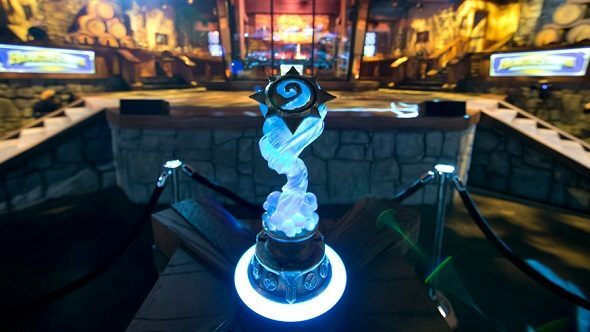 For us enlightened galaxy-brain esports fans, the Hearthstone Championship Tour (HCT) is regarded as one of the more intriguing gaming events of the year, as the finest minds in Blizzard’s strategic card game come together for a series of intense match-ups. This year’s prize pool sits at $250K, but for many players taking part, the real prize is the shot at the HCT World Championship in early 2019, which comes with a significantly inflated cash figure – a cool $1m. If you’re excited for the Hearthstone championships, check out the rest of the best card games on PC. While the pros compete for cash, HC points, and glory, we at home can follow along with the Choose Your Champion programme. You’ll want to get familiar with the pros taking part, because you can pick up free card packs by backing the right competitor. To help you make your picks, we’ve spoken to a few of the stand-out challengers for this year’s tournament. Blizzard has split up the pros by region, with hopefuls from Europe, the Americas, Asia-Pacific, and China competing. If you watch a lot of Hearthstone streams then one name will stand apart from the rest – David ‘Dog’ Caero. Dog built a name for himself in comp tournaments like DreamHack Summer 2015 and Insomnia Truesilver Championship in 2016. Despite frequently reaching the final stages of these competitions, Dog has yet to claim the grand prize. Since those high-level performances, Dog has turned his focus to streaming, building a successful career as a skilled player and entertainer. Despite his hiatus from the pro-scene, and the extra attention his name brings, Dog is confident he can put in a winning performance this weekend. “I feel a little bit [of extra pressure],” Dog says. “Most people put their packs on the line for me. But other than that, it’s not anything that I’m not used to. I usually put streaming ahead of competing because it’s more beneficial to me.” One of the reasons for Dog’s confidence is that he knows how to play almost every deck because he’s streamed so much. “Coming up with line-ups, and tech cards is the hard part of Hearthstone,” he reckons. Being the biggest name in the tournament means a lot of attention but Dog’s experience streaming mean nerves are unlikely to be an issue. Another first-time competitor in the HTC is Taiwanese player Wu ‘BloodTrail’Zong-Chang. BloodTrail has earned the nickname ‘The Free-to-Play Pro’ by building his pro-level decks entirely from packs he has won in-game. That’s right, he’s built his career without spending a penny. The HCT Summer Championship kicks off today, June 28, at 08:30 PT / 16:30 BST, and continues until July 1. The group stages will play out across the first two days with two players from each of the four groups progressing. Each group has one player from each region who will hope to make it through to the playoffs on Saturday. You can watch all the action on the official Hearthstone Twitch stream.